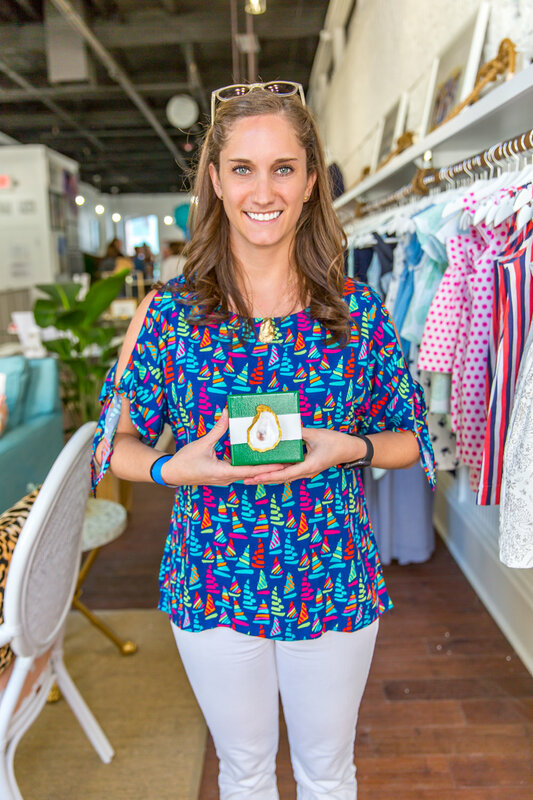 Today we're checking in with Katie Walters, the founder of Francis & Benedict. 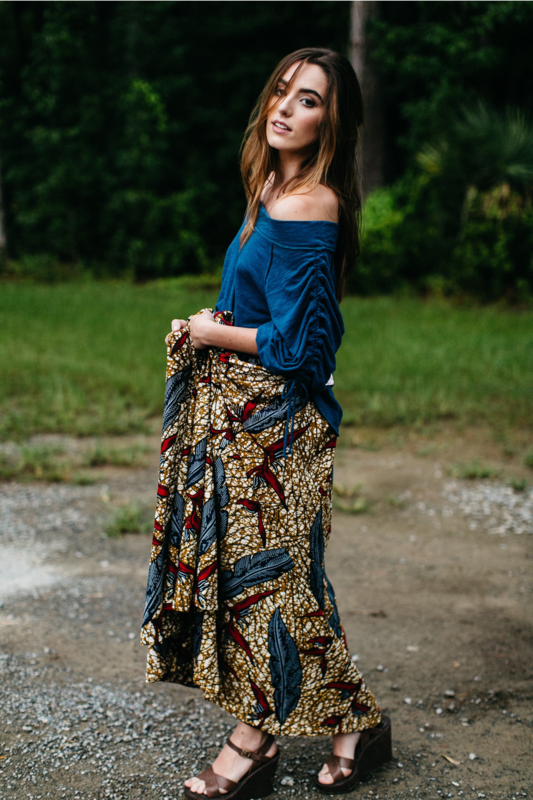 Her company sells amazing skirts that employ women from Togo, Africa. Our customers just adore the beautiful prints, and you'll love hearing about the women behind these creations. Share a tip about your products! Often times people think too hard about styling these beautiful skirts. It’s amazing all that goes with them from cute graphic Ts to elegant formal tops. For great styling tips scroll through the tags on our Instagram to see real women wearing the skirts, and watching the way they style them will inspire you! Beech, our team eats lunch there WAY too often for any of our budgets. Two of us get the Poke bowl over Kale and one the Acai Bowl! Carrie Davis art. Her black and white drawings and abstract work remind us of Togo and the strong women that inspire us. Whats's your current favorite song to jam out to while you're working? “All we Got” by Chance the Rapper, our whole team moves from work mode to dance party when this one comes on. I’m loving our Woodlands Maxi. The one I have is handmade by Aykenum, a widow and mother of 5. She inspires me with her dedication, joy and work ethic. The fabric was chosen in the market of Togo and the advocate who picked it immediately thought of this fall and Christmas season in Charleston. It’s been my go-to for Holiday parties and school events. Come by soon to check out these beautiful skirts, and follow F + B on social media!